Tom Hardy is making the jump from DC Comics to Marvel Comics in live-action form. The man best known as Bane from The Dark Knight Rises has been cast as Venom in the upcoming Sony Pictures film. Hardy, who was recently nominated for an Academy Award following his work in The Revenant, is in final negotiations to star as Venom (Eddie Brock) in the self-titled film set for release on October 5, 2018. According to The Hollywood Reporter's original report, the film is a top priority for Sony Pictures. The studio is eagerly aiming to make the film's 2018 release date. "Venom is to usher in a host of movies from Sony's Marvel and Spider-Man-based universe of characters," THR's report said. "Sony is rebooting its Marvel-based slate with this summer’s Spider-Man: Homecoming and Venom is a key title in its slate." Unlike Spider-Man: Homecoming, Venom will not be a joint production with Marvel Studios and Tom Holland's Spider-Man is not set to appear in it. The studio is also developing a Silver Sable/Black Cat project within the Venom universe, along with other Spider-Man characters. The Venom movie will be directed by Zombieland's Ruben Fleischer. 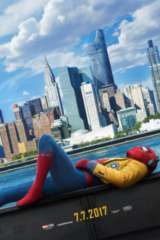 It is written by The Amazing Spider-Man 2's Jeff Pinkner, along with Scott Rosenberg. Plot details have been kept quiet at this point. Avi Arad, Matt Tolmach, and Amy Pascal are in place to produce the film.